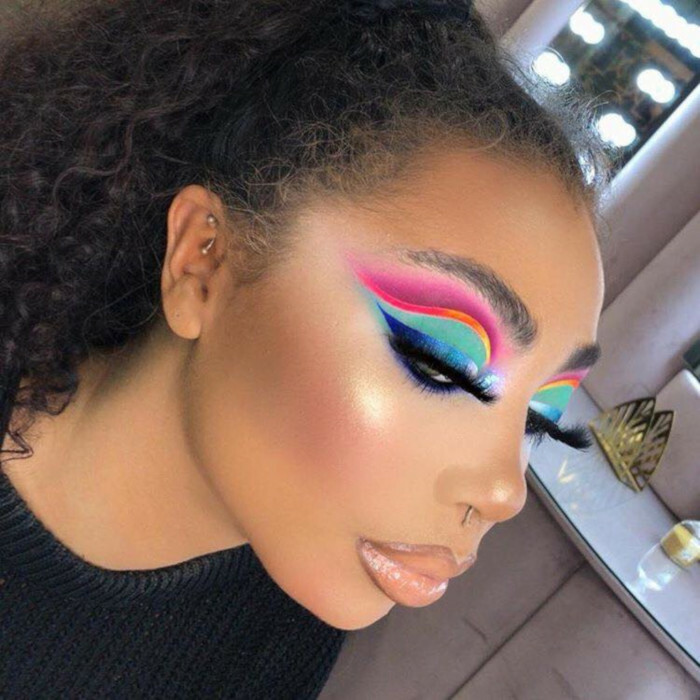 This bold cut crease makeup look requires mad skills, but if you have them – go for it! Alternatively, you could use this bespoke color blend as inspiration and come up with your own look. 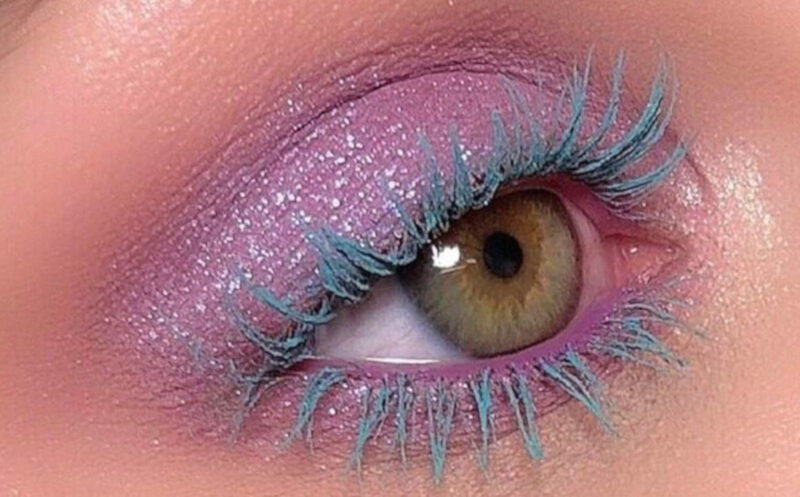 The turquoise eyeshadow all over the lid space in combination with the pastel ombre eyeliner is so pretty it hurts. If you want to bring drama to your eyelids, mix pastels with vibrant eyeshadows.